Creative IT is a standout for perfect integrity, unmatched experience and unbeatable expertise with regards to HP Compaq laptop repair in London, UK. 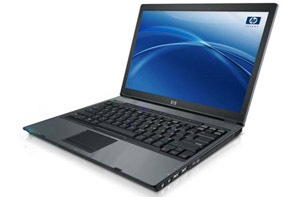 Come to Creative IT for HP Compaq laptop repair rapidly and professionally. Customer Service is always a priority for us in this fast changing marketplace, and our engineers are trained to keep up with the latest to offer our clients with the most HP Compaq laptop repair options for the lowest cost, no matter whichever HP Compaq laptop service you necessitate. At Creative IT, we confidently believe that no other company in London, UK matches our prices and the quality of our HP Compaq laptop repair service. In addition to our rock-bottom prices we provide our customers with many added-value benefits which simply cannot be matched or out-priced. As a prominent IT support provider in London, we have extensive service chain in and around various cities in London, UK for undertaking repair and upgrade services. We offer same day HP Compaq laptop repair services to customers based in and around London and fast services to UK customers. We can also arrange professional courier pick up services for those who cannot bring their faulty HP Compaq notebook to our Central London repair centre. Try for once and we are sure you will be our customer for all time. We specialize in repairing HP Compaq laptop with hard disk failure, keyboard errors, display errors, DC power jack problems, and software faults. Creative IT’s employees are confident and well trained to give perfect solutions for HP Compaq laptop repair services even from the component level. To know more about our London HP Compaq laptop repair services, contact us at 020 7237 6805 or e-mail us at info@creativeit.tv.